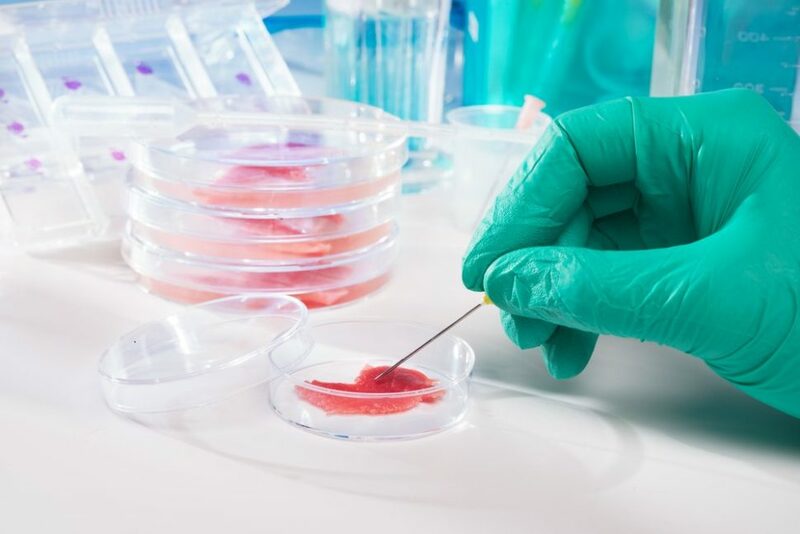 Perhaps after considering the UN's stats on livestock agriculture and meat processing, both industrial farms and tech startups are investing in lab-grown meats. Meanwhile, veganism swells. Would you be willing to give up ice-cream and hamburgers if it saved the environment? Good news: lab-grown meat is set to hit shop floors this year, so you don’t have to. A 2017 study showed that if all Americans substituted beans for beef, the USA would come close to meeting its 2020 greenhouse gas goals originally set by the Obama administration in 2009. Perhaps spurred on by shocking polemical documentaries like Cowspiracy and the UN’s report that showed that processed meat is as carcinogenic as cigarettes, veganism is on the rise. Lately, veganism has risen from its grassroots origins and become a widespread form of eco-activism. Believe it or not, the meat and dairy industries are starting to listen and lab-grown meat is set to become a reality. Is veganism just another bandwagon? Or, do these almond-milking vegaholics know what they’re talking about? “What’s so wrong with eating meat?”, you may ask. As all of the current U.S. generations currently alive have enjoyed, we no longer have to go out and hunt for animals when we want to eat meat. In fact, we don’t even have to go to the grocery store. We can order 24 chicken nuggets from the driver seat or have groceries delivered by an Amazon contractor. Our lifestyles have changed drastically, but we still claim that we need to eat like our hunter-gatherer ancestors. The sheer numbers involved with keeping everyone fed on steak and cheese are causing a lot of problems behind the scenes. The brutality of the meat and dairy industries have been exposed in documentaries you may have come across on Netflix. Vegecated, Forks Over Knives and Earthlings are cited as contributing factors by many vegan converts. However, critics question the validity of the facts provided in these “life-changing” documentaries. Perhaps it was because the revelations of what has become normal were so shocking or maybe because people aren’t ready to face the consequences of their lifestyles. But, Cowspiracy, in particular, got a bad rap for using questionable statistics in the original version. Although such advocacy documentaries still have their value and are worth watching if you want to get informed, they should be taken with a pinch of salt. A more reliable source of facts about veganism and the environment are reviewed research papers and official reports. Although these reports may not have the same drama, the facts are clear-cut. The environmental impact of animal agriculture and it’s contribution to greenhouse gas emissions, deforestation, and water waste is extreme. Animal agriculture accounts for 70% of global freshwater consumption. In 2016 the UN reported that the livestock sector is one of the most significant contributors to environmental degradation, both locally and globally. A UN report that followed this in 2010 warned that rising meat and dairy consumption combined with a population set to be 9.1 billion by 2050, meant a shift towards veganism was vital. It stated that only a major change in the human diet could save the world from climate catastrophe and major food shortages. Cows produce 150 billion gallons of methane gas a day. What most don’t realize is that this greenhouse gas’s alleged effect on climate change is much greater than C02 which usually steals the spotlight. Numerous reports have claimed that methane is up to 100 times more harmful than C02. 14.5% of global greenhouse gas emissions are generated by raising livestock for meat, eggs, and milk. That’s more than all transportation, including planes combined. Raising livestock also uses 70% of all agricultural land, making it the leading cause of deforestation, water pollution and loss of biodiversity. It’s estimated that it takes 2,500 gallons of water to produce one pound of beef. A 2017 study showed that meat manufacturers JBS, Cargill, and Tyson (All giants in the meat industry) emitted more greenhouse gases in 2016 than all of France. What would Happen if we all Went Vegan? A study carried out by Dr. Marco Sprinmann at the University of Oxford attempted to estimate what the world would be like if we all went vegan in 2050. The results are astonishing and show that in one single year greenhouse emissions would be cut by two thirds. $1.5 trillion would be saved in climate damages and healthcare expenditure. He also estimated that global mortality would be reduced by 10%, with 8 million fewer deaths caused by chronic disease. Springmann also emphasized that these figures are probably an underestimation. Could Lab Grown Meat Save the World? Veganism doesn’t have to be all granola and lettuce. As consumers become more aware of the extent of the current sustainability crisis, eating habits have begun to change. This move towards more plant-based diets has had repercussions in the food production industry. Big names have started to invest in meat and dairy alternatives. he fact that humans could grow real meat without harming animals or the Earth left us in awe. Although the lab grown meat cost thousands to make at the time, now it can be produced cheaply on a commercial scale. Just five years later, the race is on to get it on the shelves. Something that we wouldn’t have believed to be possible is fast becoming a reality. Could synthetic meat replace traditional meat completely? A startup called Memphis Meats is currently developing “clean meat” with investors like Bill Gates and Richard Branson. Just For All is another major player in the synthetic meat industry who promises to launch their products in supermarkets by the end of the year. Even the some of the world’s biggest meat companies like Tyson and Kraft are attempting to reinvent carnivorous staples. Most successful lab grown meat products are created using cell proliferation. Let’s say we want to create a cruelty-free, eco-friendly chicken nugget. No tempeh, no tofu–we want the real deal. As chickens have an unlimited source of cells that are constantly regenerating and regrowing, the scientists figured that they could take a handful and continue to grow them infinitely. All that is needed from the animal is a cell sample. This could be a feather for example. This feather is then taken to the lab where it is provided with plant-based nutrients. Just as the cells would grow in the animal, they multiply quickly in the lab turning into a high-density food source–a.k.a. meat. And it’s not just chicken, any kind of animal protein can be grown from a single cell in the lab. Synthetic meat is estimated to be 10 times more efficient than the world’s highest volume slaughterhouse. This cutting-edge technology that is used to re-create food is going to drastically change the meat and dairy industries. Just for all’s products range from cookie dough to mayonnaise. Other companies are producing scrambled “eggs” from mung beans and brewing cow’s milk from yeast. In the current world we live in, it is unlikely that everyone will go vegan. Meat is the centerpiece of our plates and ingrained in most cultures. However, synthetic meat offers another solution to the major problems mass-production of meat and dairy pose. A recent Ketchum survey shows signs of an optimistic response to lab grown meat. 62% of Americans are likely to try synthetic animal products, which rises to 71% among millennials. Synthetic meat is also seen as a threat to the animal agriculture industry. The UN Food and Agriculture Organisation states that livestock supports the livelihoods and food security of almost a 1.3 billion people. Farming still employs over 26% of workers globally. That’s not accounting for those working along with other parts of the meat-supply chain like in processing and packaging. Additionally, synthetic meat is still meat. Although Lab-grown meat is dubbed “clean meat”, as it lowers the risk of microbial and antibiotic contamination. Eating too much of it is still detrimental to human health. It increased our risk of heart disease, type 2 diabetes, obesity, and cancer. Synthetic meat can ease the negative impact on the environment but at the end of the day, processed meat is still carcinogenic. The power to reconsider what we consume is in our hands. This choice empowers us to choose what the future of our planet will be. We can choose to cut down our meat and dairy consumption, become a vegetarian or take the plunge and go vegan. With the current state of our environment, we need to consider every option possible. Yes, food choices come down to personal circumstances. But, simply eating less meat and dairy could help us prevent negative environmental impacts to the Earth. it’s a little more complicated then taking ‘a few cells’. Some companies’ synthetic meat isactually the embryonic fluid of unborn baby calves….while perhaps it is ‘better’ than killing huge numbers of cows and calves, the start of this product is still a slaughterhouse product.